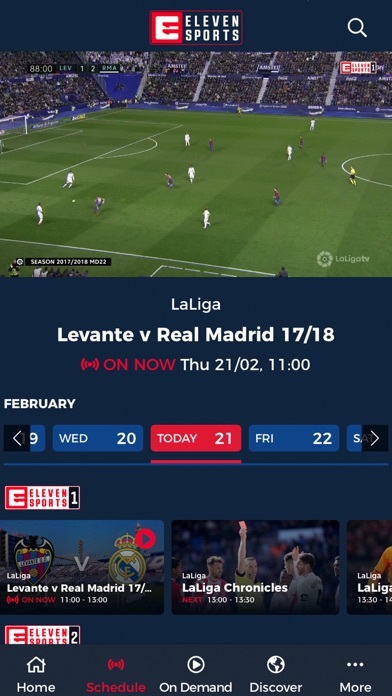 Watch live coverage of LaLiga from your apple device without the need for set top boxes, bundled packages or contracts. 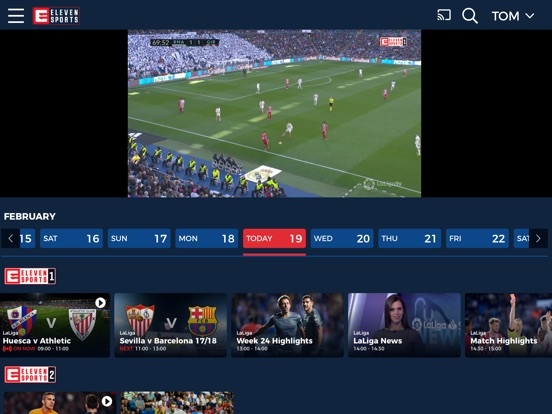 The app allows you to browse and watch live and catch up content in Full HD in app or via Chromecast. 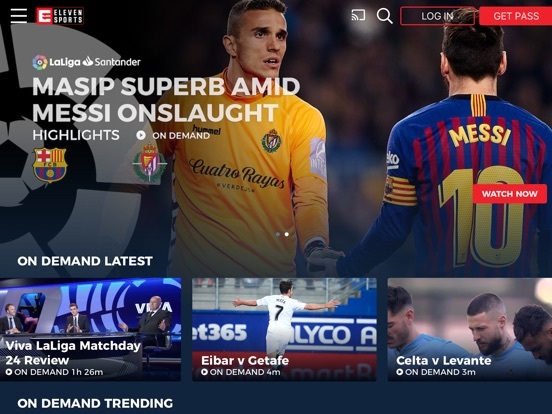 Stay up-to-date and catch all the goals, highlights, match reviews and analysis as it happens from your favourite leagues. 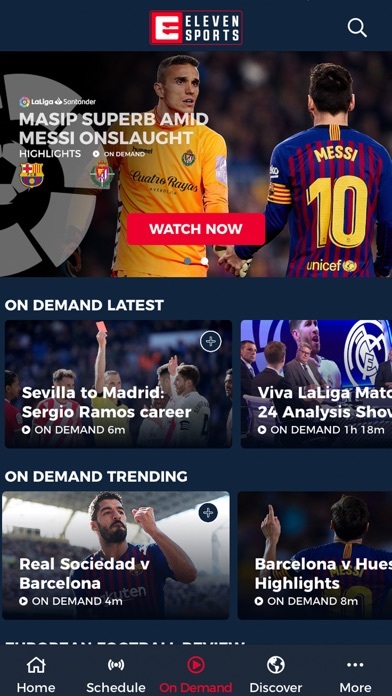 The app also gives you access to exclusive on-demand clips and match highlights. 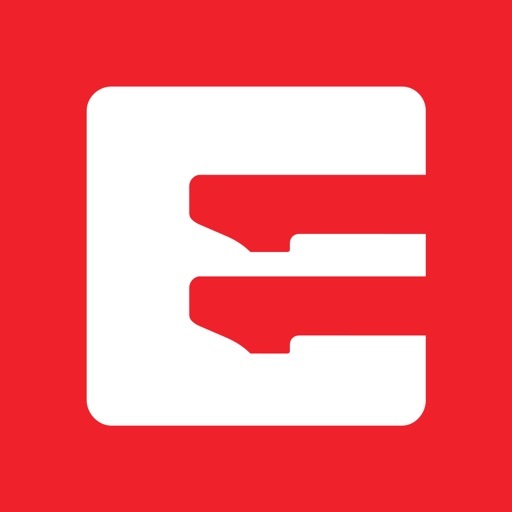 Download the free Eleven Sports live streaming app, create an account and start watching your sports action instantly from your apple device. 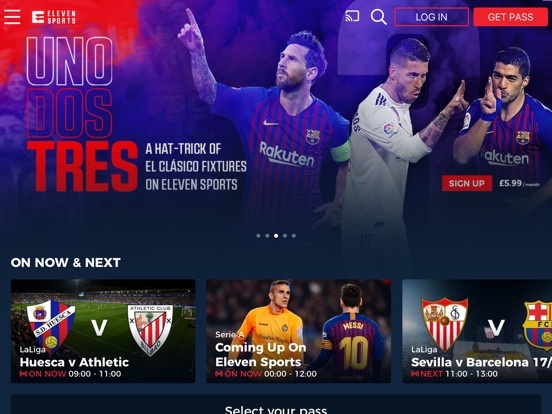 * Month Pass: Full access to Eleven Sports for 30 days starting from the time of purchase, which will automatically renew each month until the subscription is cancelled. Price: £5.99 a month.